In Zion we watch a small community and a family struggle to adapt to the dramatic social transformation of the 60s and 70s as the tentacles of change inched deeper into the countryside. Dayne Sherman tugs on our emotions as we are forced to choose sides…anger, disappointment, rage, joy, laughter…it’s all there. Sherman channels Erskine Caldwell as we see flaws in good rural Southern folks and a glimmer of hope for redemption in the evil ones. 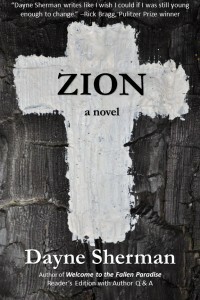 This is a compelling story of coming of age in a small town, of the consequences of greed and selfishness, of the natural struggles between father and son and between husband and wife, and of the terror and consequences of getting caught for the evil deeds that seemingly ordinary people sometimes hide from their families. 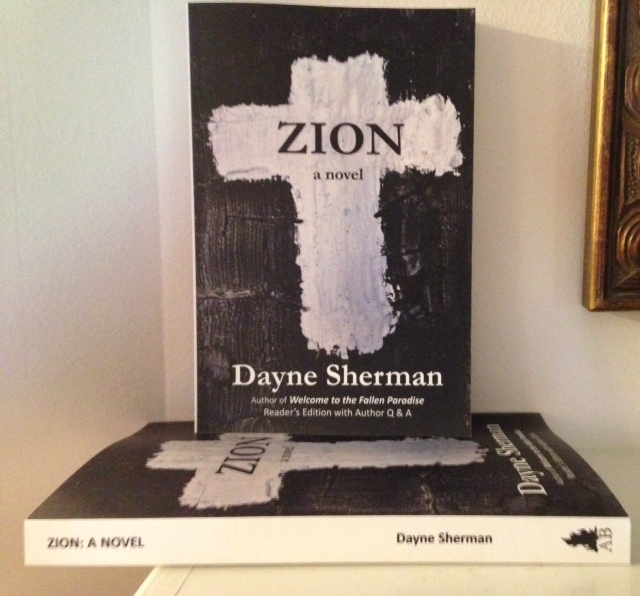 On Thursday, October 30, 2014, 4-6:30 PM, Author Dayne Sherman and Accendo Books will launch Zion: A Novel at the Hammond Regional Arts Center in Hammond, Louisiana. Light refreshments will be served, and live music played. Reading from the new novel and Q & A. Free and open to the public. Hammond Regional Arts Center, Hammond, LA. Located at 217 E. Thomas St., Hammond, LA 70401. (985) 542-7113. Books will be available for purchase. Y’all come! The first 1000 copies of Zion: A Novel were ordered today.